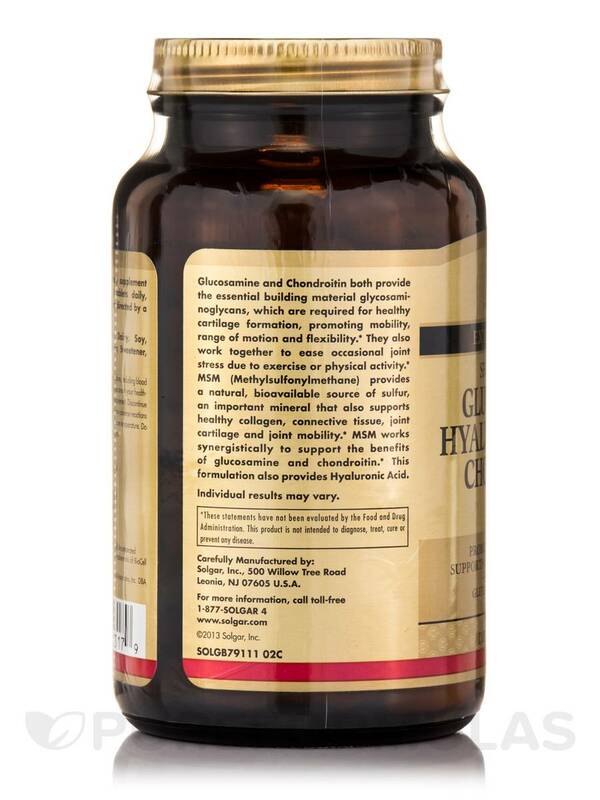 Glucosamine and Chondroitin both provide the essential structural material glycosaminoglycans‚ which are required for healthy cartilage‚ promoting mobility‚ range of motion‚ flexibility and to ease occasional joint stress due to exercise or physical activity. 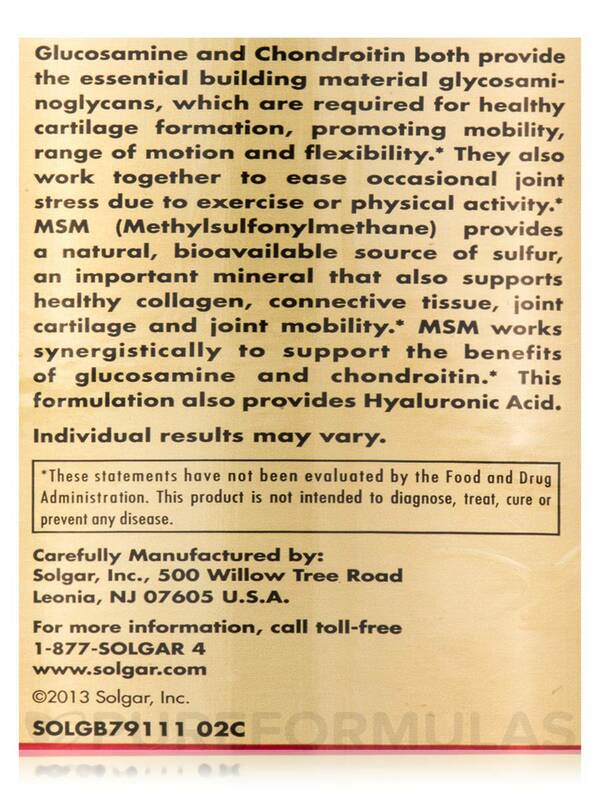 MSM (Methylsulfonylmethane) provides a natural‚ bioavailable source of sulfur‚ an important mineral that also supports healthy collagen‚ connective tissue‚ joint cartilage and joint mobility. 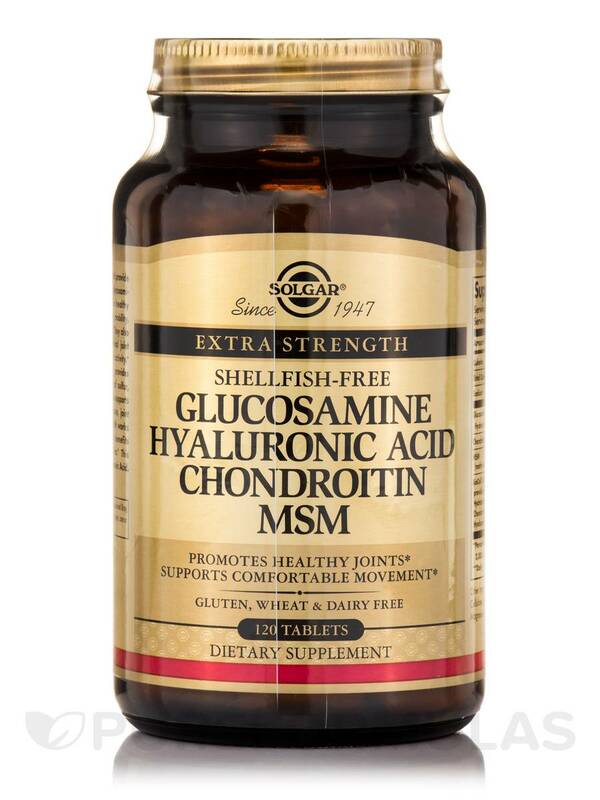 MSM works synergistically to increase the benefits of glucosamine and chondroitin. 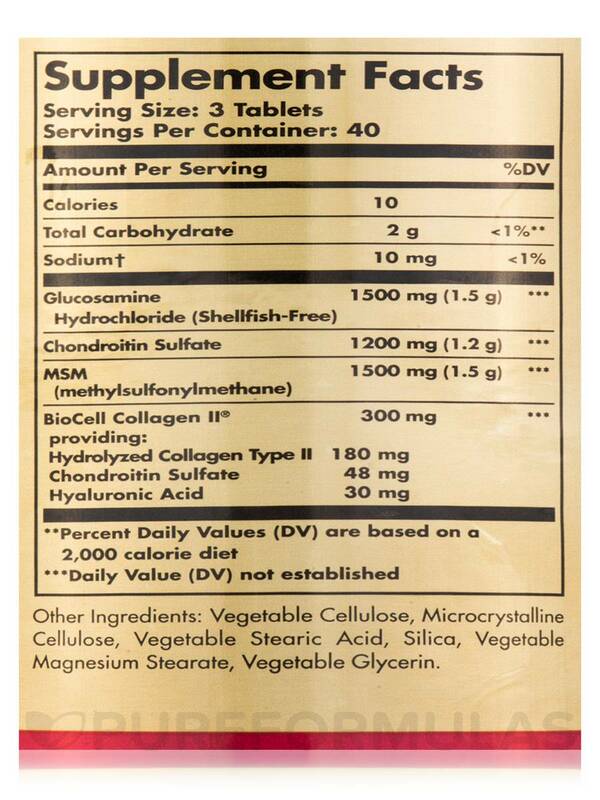 This formulation also provides Hyaluronic Acid. 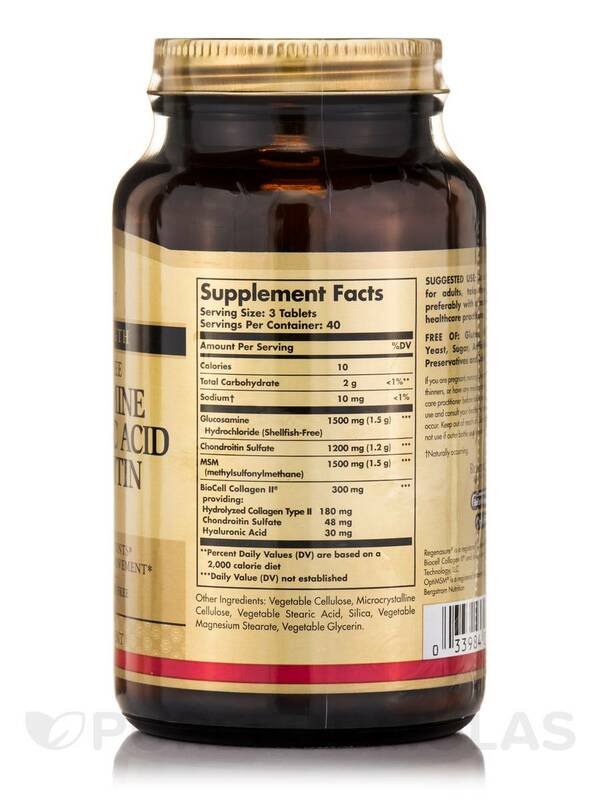 Other Ingredients: Vegetable cellulose‚ microcrystalline cellulose‚ vegetable stearic acid‚ silica‚ vegetable magnesium stearate‚ vegetable glycerin. 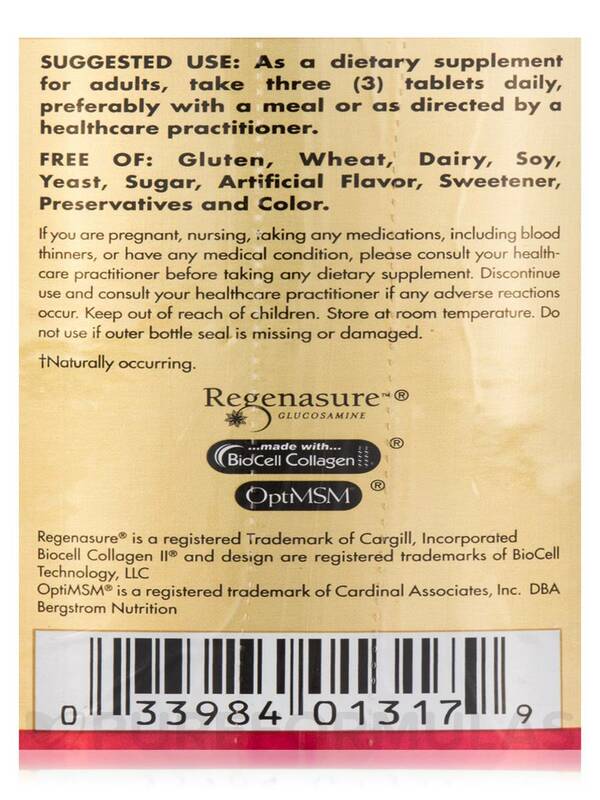 Free of: Gluten‚ wheat‚ dairy‚ soy‚ shellfish‚ yeast‚ sugar‚ artificial flavor‚ sweetener‚ preservatives and color. As a dietary supplement for adults‚ take three (3) tablets daily‚ preferably with a meal or as directed by a healthcare practitioner. Hi Blake, thank you for your inquiry. 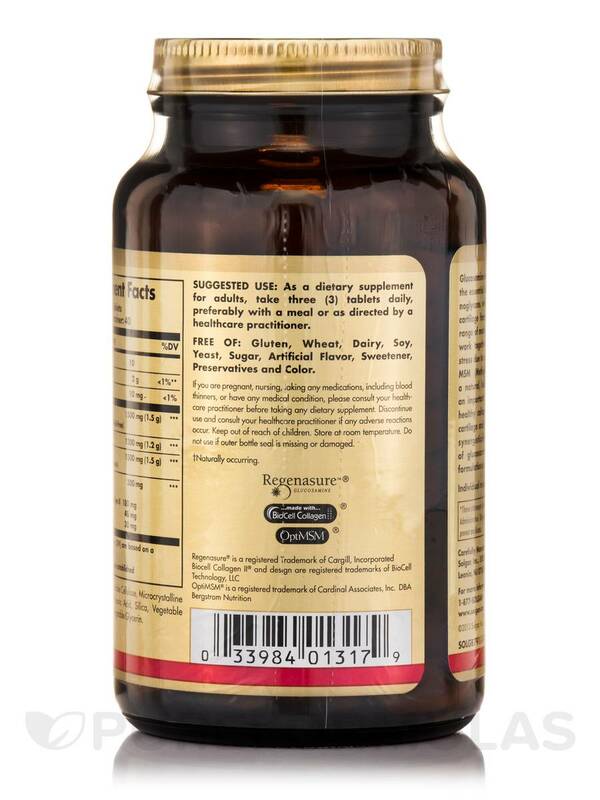 Listed on our website, this product is Dairy Free, Gluten Free, Soy Free, Sugar Free, Wheat Free and Yeast Free. For any further information we highly recommend getting in contact with the manufacturer. Have a great day!